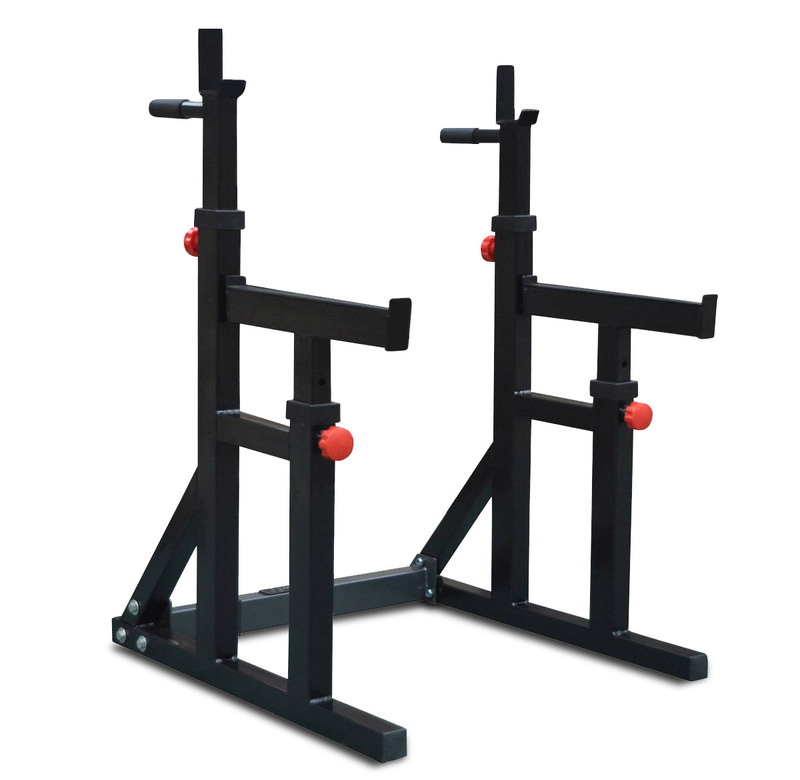 An extremely versatile stand that can be adjusted in three ways, height adjustments can be made to both the uprights and the safety catchers, then the width of the stand can also be altered. 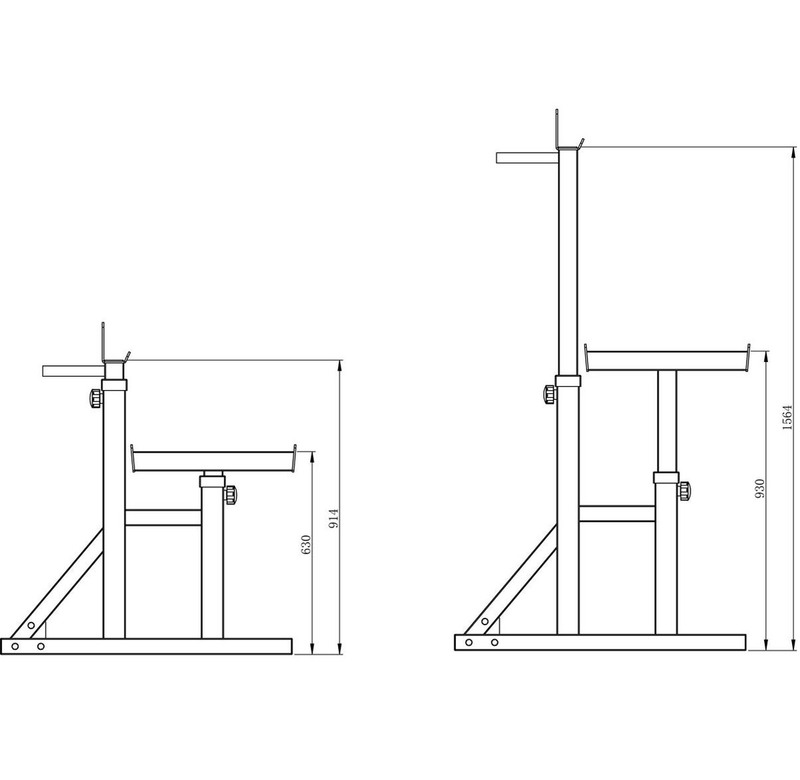 Adjustable width, 65 to 107 cm. 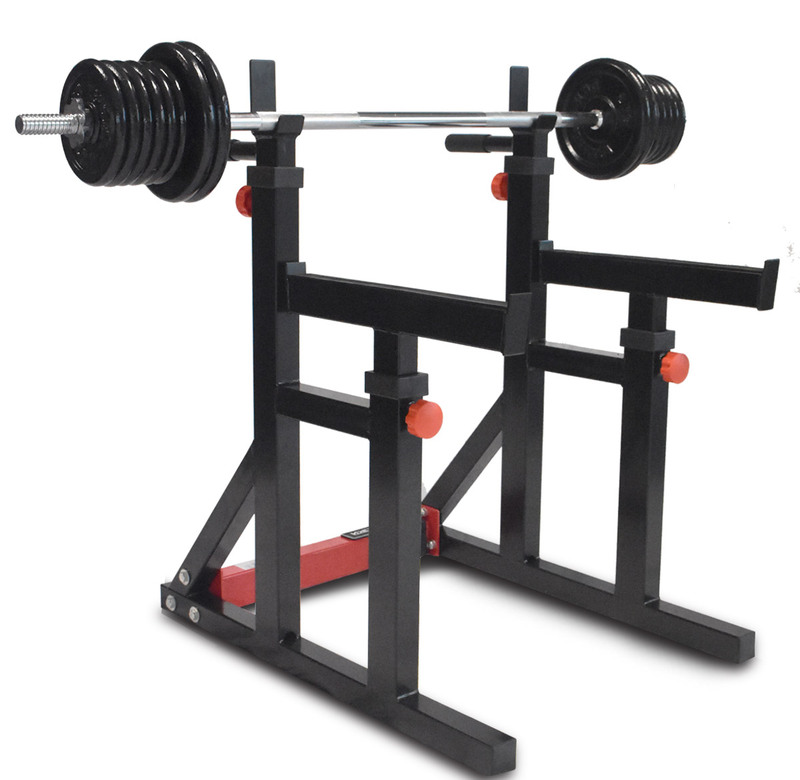 48 kg weight set included (16 x 2.5 kg + chromed bar 150 cm). Copyright© 2018 - Pricing valid only within the EU.